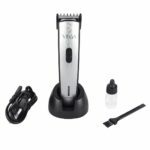 Beard trimmers are one most common and must but item for many men.As trimmers are available under various price ranges you really have to decide first on what kind of trimmer you wanted to buy and your budget for the same. 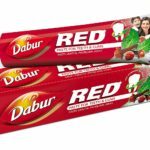 If you are ready to spend around 2000 rupees,then you are at the right place. 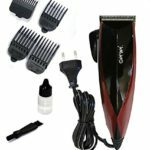 The following 6 branded trimmers are available for less than 2000 rupees in India and consist of smart features, elegant design and offer high convenience. 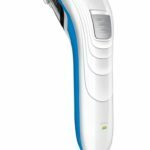 The Philips QT4011/15 is a very powerful trimmer and one of the popular trimmer as well. It is perfectly compact and convenient to travel with. It comes with its very own travel and storage protective pouch. It is adaptable to worldwide voltages making this unit the best travel companion. No oiling or maintenance is required. Simply charge it and trim your way to glory. The blades are made of stainless steel and coated with Titanium to cut hair like super sharp swords. A selecting wheel lets you lock in your desired trimming length in order to get the specific look you want with your beard. 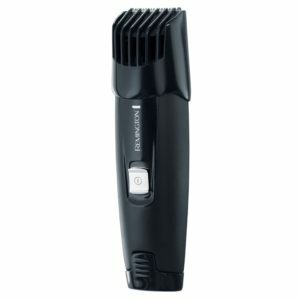 The Panasonic ER-GY10K is the ultimate grooming kit for men consisting of a high-end trimmer with 6 different washable attachments for trimming in different regions such as underarms, face etc. This kit can be used both during wet and dry conditions and gently trims hair without causing harm to skin. The package consists of the main unit along with a charging stand, a display stand, a cleaning brush, a bottle of lubricating blade oil and an adapter. This is a complete safety-kit, designed to execute tasks without cutting or bleeding. The Remington MB4010 is an excellent trimmer available for reasonable price in India. It has 6 different pre-set length settings and the adjustable comb has 6 lock-in-length settings. 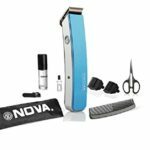 This is a travel trimmer since it is completely battery operated on 1 AA. Your sideburns and beards can get a perfectly shaped trim every time, with the Remington MB4010. This wholly cordless trimmer has the right features but may need battery replacements from time to time. It’s easy to use with a highly ergonomic grip. This personal care appliance from Panasonic comes with 11 different cutting lengths to choose from, for easy styling of beard. They can be detached and washed under running water to get rid of hair residue. 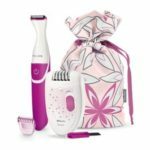 It comes with an Easy Adjust Dial that lets you select between 12 different cutting length options for a more precise trim. This trimmer needs oiling and you get a bottle of oil in the package. 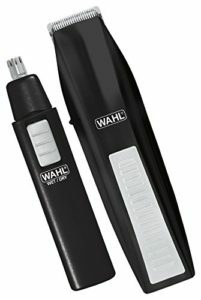 The Wahl 5537-1801 is the epitome of sophistication and style. 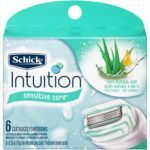 This product is best suited for beginners and can be used to trim brow, nose and ear hair. 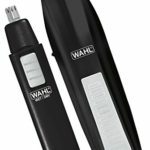 Wahl is a very efficient trimmer brand and you couldn’t ask for a lesser price for such an efficient device. It has a 5-position guide that lets you create the look you want with perfection. The blades are made from high-carbon steel and are super sharp to perfect edges and create shapes. 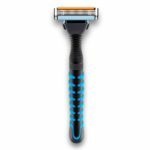 This device comes in one colour only and has superior grip for effortless shaving. It is highly adaptable with quick action to let you switch between different length settings during use. This is a wet and dry trimmer so it doesn’t matter if your beard is damp or completely dry. Just run it over for a smooth shave. 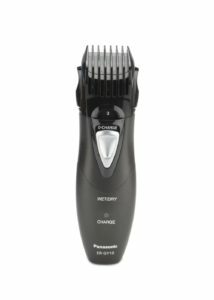 This is a cordless trimmer with rechargeable batteries that you can use on the go. 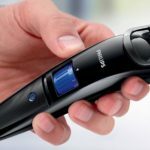 You can shave off either a light stubble or a dense beard with this trimmer, safely and easily. 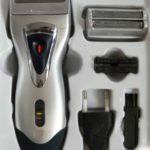 These are the top 6 best beard trimmers for men which can cost you below 2000 rupees.Choose any one from the list which would work for you.